Watch Guru - Blancpain - Villeret Triple Calendar Moon Phase Diamond And Ruby Case And Bracelet. 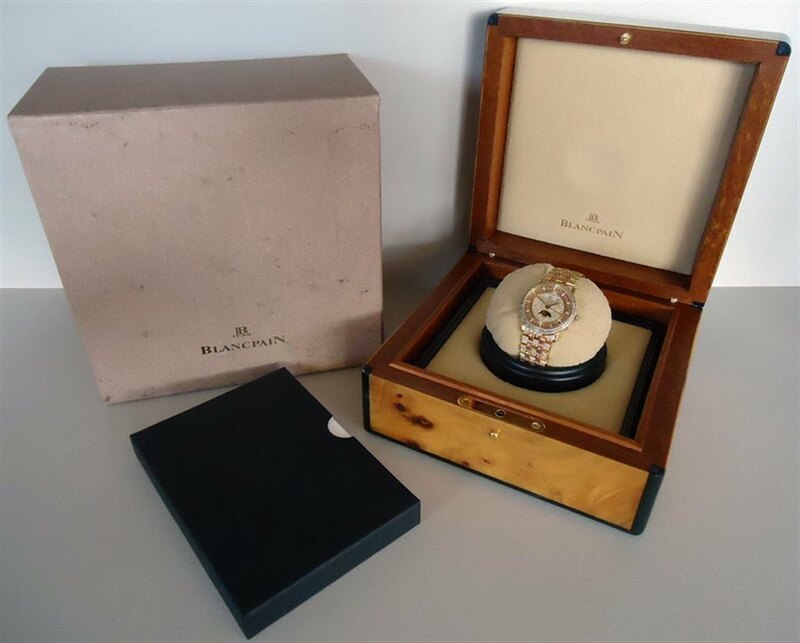 Blancpain Villeret Triple Calendar Moon Phase Diamond and Ruby case and bracelet. MODEL Villeret Triple Calendar Moon Phase Diamond and Ruby case and bracelet. Incredible fully loaded factory set version of the ultimate Villeret with original GF bracelet. I'm interested in the Blancpain Villeret Triple Calendar Moon Phase Diamond and Ruby case and bracelet.